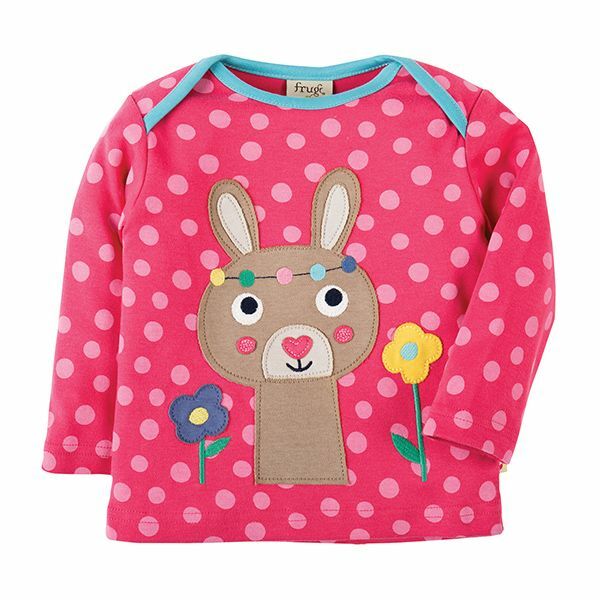 This fab long-sleeved Bobby Applique Top is made from 100% organic cotton interlock making it soft, warm, durable and gentle on your baby's delicate skin! The fun Frugi character applique on the front stands out beautifully against the colourful breton stripe or spot design of the top. With a contrasting coloured binding at the neck and a classic envelope neck, this top is designed to make dressing and changing times that little bit easier.